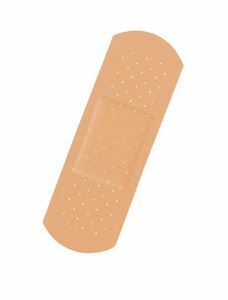 Bandage Adhesive by Medline is designed with adhesive that sticks correctly on the cuts without causing any pain when removed. These bandages are made of plastic. Different sizes to suit every day need. These are high quality sterile adhesive bandages. Each and every bandage is wraped individually. Easy to apply and convenient to use. This is lon-lasting and it stays in place. Available in 3/4 in x 3 in.